In 2015 the Russian capital fell from 9th to 50th place in the rating of the most expensive cities for foreigners to live in, according to the annual Cost of Living survey taken by human resource consulting firm Mercer. The authors of the ranking put the city’s dramatic slide down to the weakened ruble, the fall of oil prices and the effect of western sanctions against Russia. Moscow is no longer one of the world’s 10 most expensive cities, according to the results of a survey of the most expensive cities for employees working abroad. 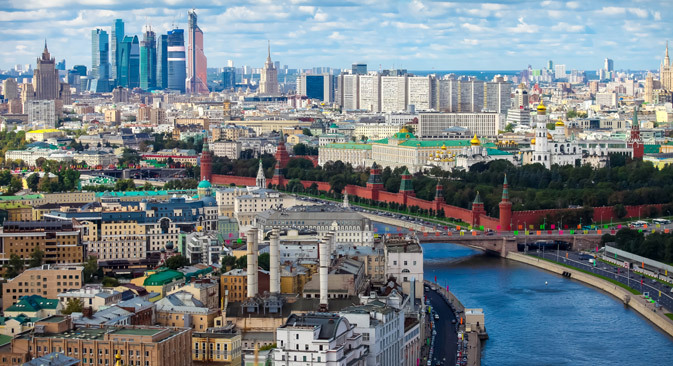 According to the human resource consulting firmMercer’s 21st annual Cost of Living Ranking, published on June 17, the Russian capital has plummeted to 50th place. The most expensive city, repeating last year's results, is the capital of Angola, Luanda. The study, which is carried out in 207 world cities, measures the comparative cost of living with indicators such as prices for housing, transportation, food, clothes, commodity goods and entertainment. The study compares prices for 200 goods and services, including prices of movie theater tickets and a hamburger. Analysts use the situation in New York as a benchmark and compare it to the other cities, taking into consideration currency fluctuations, inflation levels and other factors. The survey's authors ascribe the Russian capital's fall out of the rating's top 10 to the weakening of the national currency, the fall of oil prices and the western sanctions imposed against Moscow over its role in the Ukraine crisis. "Currency fluctuations always play an important role, but this year their influence has been particularly strong," said Mercer analyst Kate Fitzpatrick. In the current year, because of the weakening of the ruble and the deterioration of the Russian economy, Moscow found itself nosediving from 9th to 50th place. Last year the capital also took a plunge: In 2013 it was in second place. In general, most of the changes in the ranking occurred due to currency fluctuations: The strengthening of the Swiss franc helped move up Swiss cities on the list, while the weakening of the yen pushed Tokyo from third place in 2013 to seventh place in 2014 to 11th this year. The most expensive city in the world is Luanda, the capital of Angola. In second place is Hong Kong (China) and in third is Zurich (Switzerland). Singapore is fourth and Geneva (Switzerland) is fifth. They are followed by Shanghai (China), Beijing (China), Seoul (South Korea), Bern (Switzerland) and N'Djamena (Chad). Another Russian city, St. Petersburg, was ranked the 152nd most expensive place on the planet, according to the Mercer rating.